The Best of the Best Showcase highlighted Belmont’s remarkable student talent with performances from the winners of the Curb College of Entertainment and Music Business Showcase Series, which is held throughout the academic year. This year’s winners included The Orchardist, Forest Fire Gospel Choir, Kassi Ashton and Sound Proof. Winners from the ASCAP Writers’ Night series also performed including Aubrey Holden, Emma Place, Brad Blackburn and Stephen Day. The show consisted of smooth transitions between showcase winners and Writer’s Night winners alongside complete stage effects and well-produced live sound overseen by a Belmont student production crew. 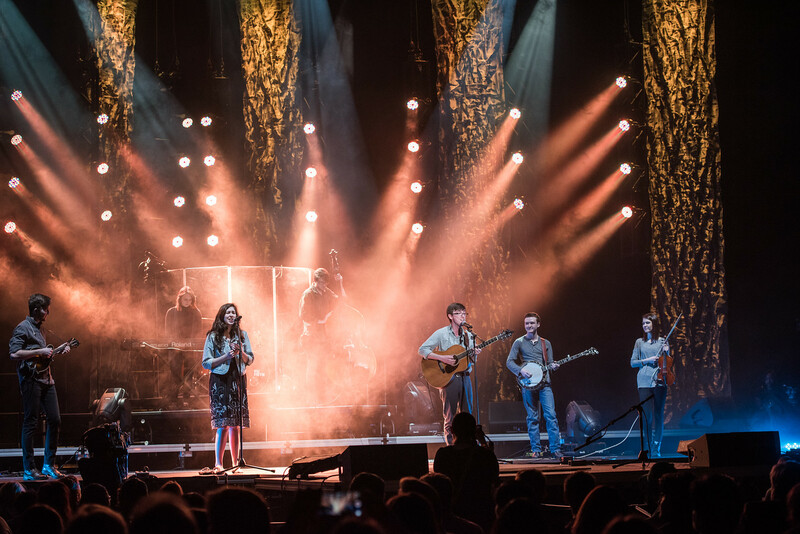 Opening with a cover of Justin Bieber’s “What Do You Mean,” The Orchardist, winner of the Christian Showcase, exhibited their folk styling through rustic instrumentation and encouraged audience participation. Finishing their set with their single “All of Me,” the group incorporated sounds reminiscent of Mumford & Sons. Identifying as “Roots Rock,” Forest Fire Gospel Choir, winner of the Rock showcase, harnessed influences such as Dave Grohl to provide a show “forged out of classic vibes and good times.” Former roommates Will McGee, Nick Fields, Sam Hunt, Will Lydne and Kip Allen overcame slight technical difficulties to put together a set with classic rock solos that showcased their strong strong connection between band members. Representing the Country Showcase, Belmont senior Kassi Ashton is a self-described country-soul singer. Her strong lead vocals and commanding stage presence exemplify the country greats who have influenced her. Incorporating elements of current popular country artists allowed Ashton to create a unique combination of classic and pop country. Winner of the Urban/Pop Showcase, Sound Proof closed the evening with an energetic set that had students rushing the stage and singing along. 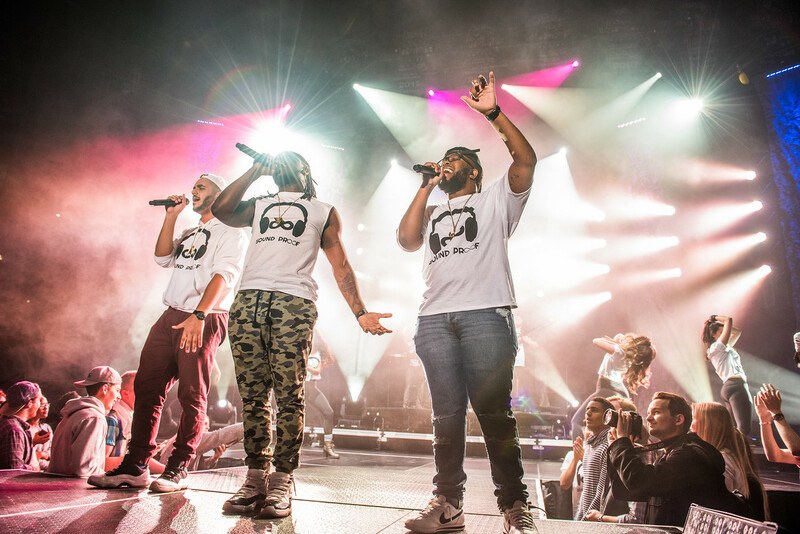 This self-described “R&B/Pop Fusion” group has been assembled for a little over a year. Featuring Belmont dancers, Sound Proof provided the full concert experience for those present by tossing t-shirts into the crowd at the conclusion of the Best of the Best Showcase. Winners of the ASCAP Writer’s Night Series were featured between the various Showcase winners. Singer-Songwriters Aubrey Holden, Stephen Day, Emma Place, and Brad Blackburn all brought original works to the side stages. Holden shared his song “Ricoche,” which consisted of strong harmonies and an acoustic-electric guitar pairing. Approaching the stage with a very comfortable stage presence, Day greeted the crowd as friends and recently released his EP titled “Undergrad Romance and the Moses in Me.” A songwriting major from southern California, Place shared her clear vocals and country-influenced music. Blackburn enjoyed his second year as a Writer’s Night winner at the Best of the Best Showcase and is currently working on his second album. Visit the Belmont Photo Gallery for more images from the event.